This is a very important commode in Boulle marquetry, with inlays of brass and pewter that are cut and engraved on a background of Caret tortoise shell. 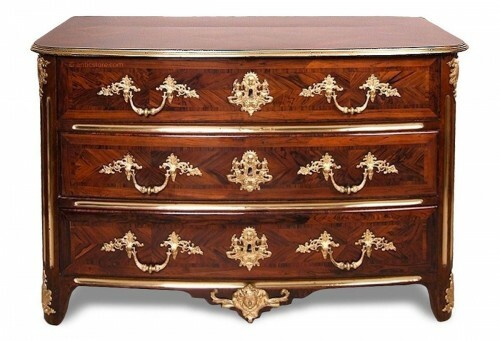 This commode has three large drawers that open towards the front and it is topped off with some more wooden marquetry. The front of the commode is elegantly curved, has corners that are rounded, and the sides are slightly embellished with a ressaut, a slight projection. 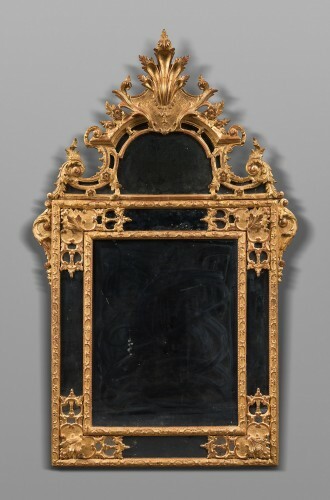 The bronze ornamentation is finely carved and gilded and can be seen on the handles, feet, keyholes, and the framing around the base, corners, top, and drawers of the commode. The ornamentation is in perfect harmony with the commode as a whole because each piece of decoration is equal in richness. 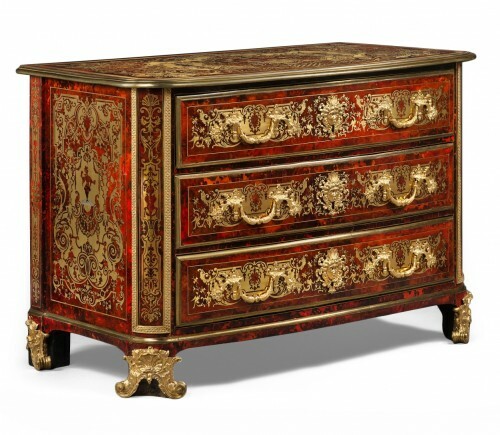 Boulle marquetry is present on the entire commode. 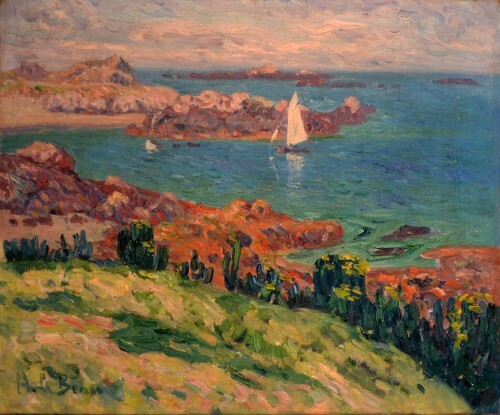 The details are extremely fine, and the decorative repertoire is of exceptional richness. The decor is based around vines so there are grape vines, bunches of grapes, and the hymn of Bacchus on the top of the commode. 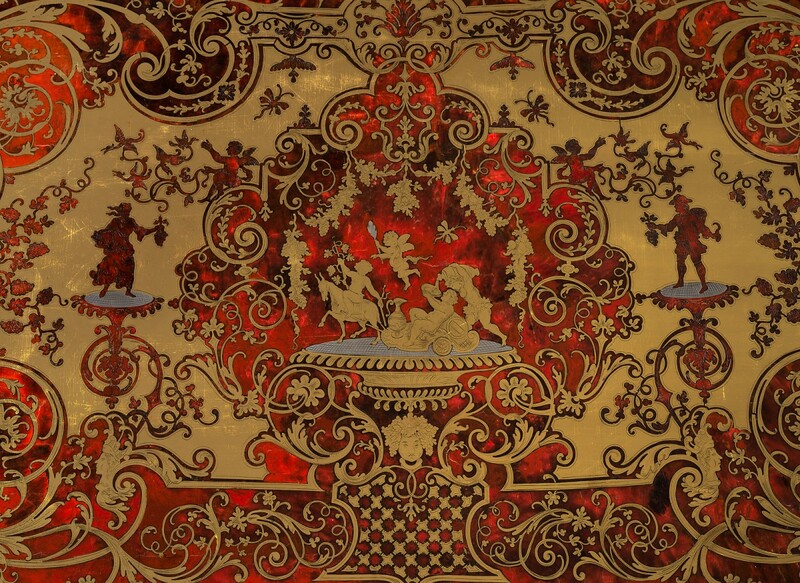 The marquetry is also inspired by the glory of Louis XIV, with the representation of Indian masks, shells, cartouches, intertwined scrolls, butterflies, and chimeras. 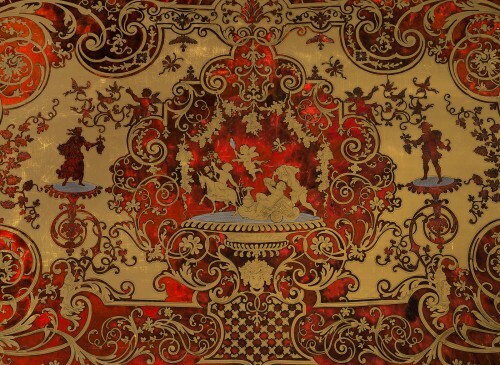 It is important to note that the state of conservation of the marquetry is very good and it has been perfectly restored. There are very few parts of the tortoise shell that have been replaced. The engraving in the brass, pewter, and the tortoise shell are still very deep. 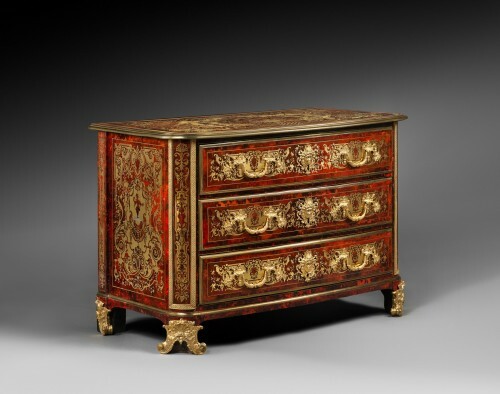 This commode is of the LOUIS XIV period. 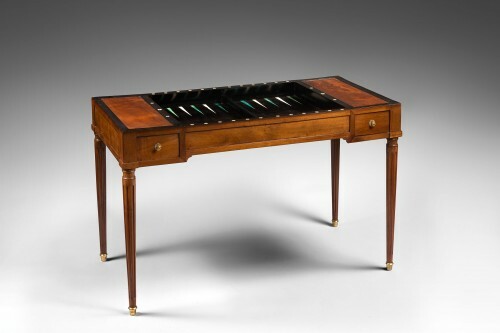 The marquetry can be compared to that of the work of Nicolas Sageot (1666-1731).